The third ATP Masters 1000 event of the season will be held in Monte-Carlo. 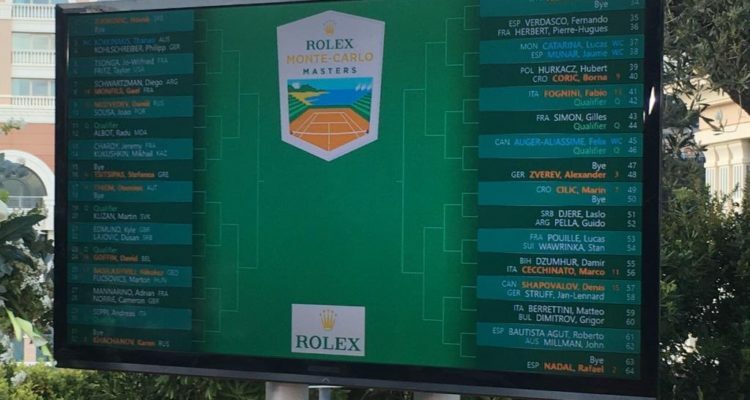 The Rolex Monte-Carlo Masters, the third ATP Masters 1000 tournament of the season, is set to begin at the Monte-Carlo Country Club, where 14 of the Top 20 players in the ATP Rankings are competing. Leading the way is 11-time champion Rafael Nadal and World No. 1 Novak Djokovic. The pair has won 13 of the past 14 titles in the Principality. After a first-round bye, Nadal will play the winner of the encounter between Roberto Bautista Agut of Spain and Australia’s John Millman. Top seed Djokovic awaits either wild card entry Thanasi Kokkinakis of Australia or German veteran Philipp Kohlschreiber. Former World No. 3 Stan Wawrinka (2014) is the other past winner in the field. The tournament is the first of three ATP Masters 1000 tournaments played on clay.